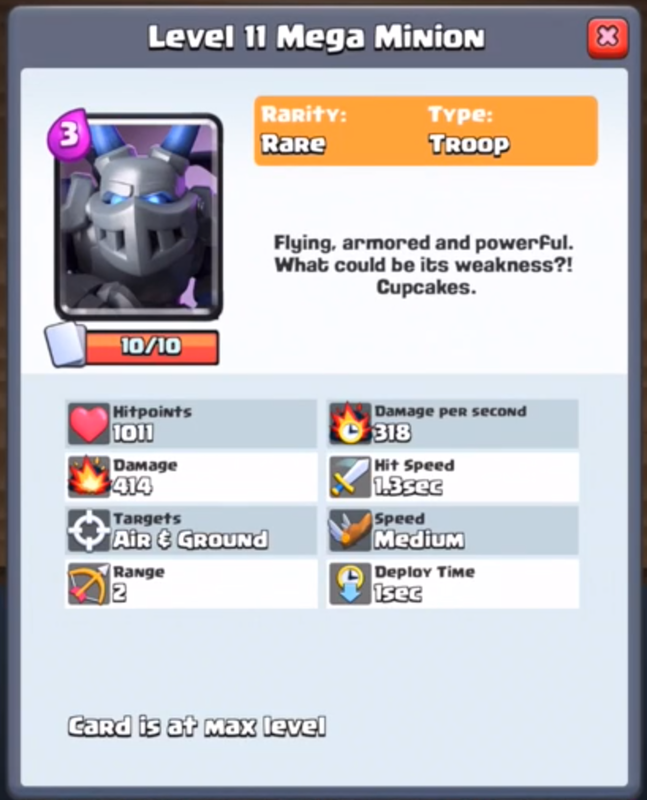 The second Clash Royale update sneak peek is out for the September 2016 update and it is a new troop, the Mega Minion! Along with the mega minion, there are also three other cards, 1 rare card and 2 NEW legendaries! 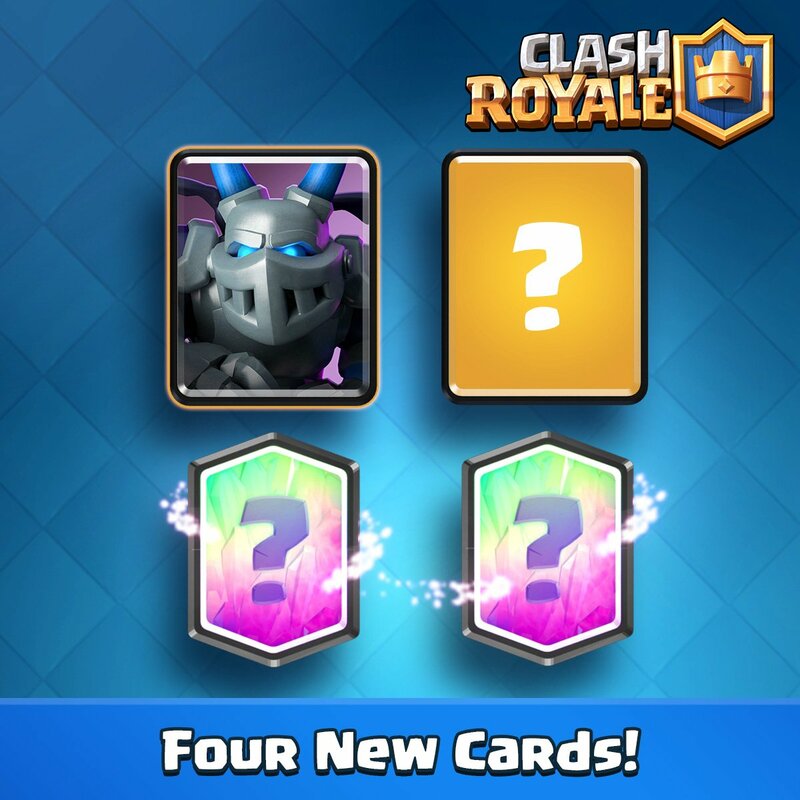 This is going to be a bit of a different update, with each new card coming out 2 weeks apart. Still the sneak peeks are rocking for this update and lets go ahead and go over our new card! The mega minion is a rare card and it looks pretty neat! It will cost 3 elixir to use and is essentially a bigger minion as the name suggests. It is only one minion though, with the damage as high as a prince and HP of a barbarian. The mega minion is a really good card for getting to the tower. However, the mega minion is pretty weak and needs a tank in front of it to do any significant damage. What it boils down to is if the mega minion is better than the minions since they both cost 3 elixir! Here some pictures of the newest troop, the mega minion! This is a full maxed out mega minion. Level 11 is the cap like all rares. Here’s what the mega minion will look like as its card. Along with the mega minion update, you will be able to buy stacks of cards in the shop. 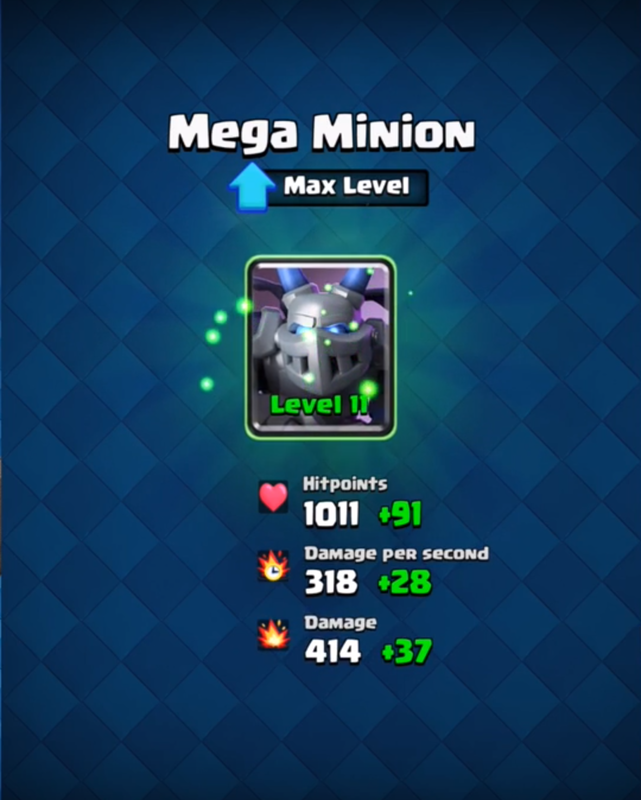 Here’s an example of the mega minion in the shop when you can buy 100. I think it will be sweet to be able to buy stacks of cards you really need in the store even though it’s just another way for Clash Royale to earn some money. I don’t really like the 2 new legendaries AT ALL, since 7 is already too many and there will soon be 9 in the game. Whatever though, if they are cool ideas I’ll be happier! Until next sneak peek guys! Pingback: Clash Royale Update New Troop Mega Minion | Clash of Clans Guide, Strategies, Tricks and More!